AD carry Pierre “Steeelback” Medjaldi has ended speculation about his future just a week after leaving Roccat, joining Team Vitality for the 2017 LCS season. The player had also been linked with Origen, but has decided to put pen to paper with the French side who finished seventh in the Summer Split. 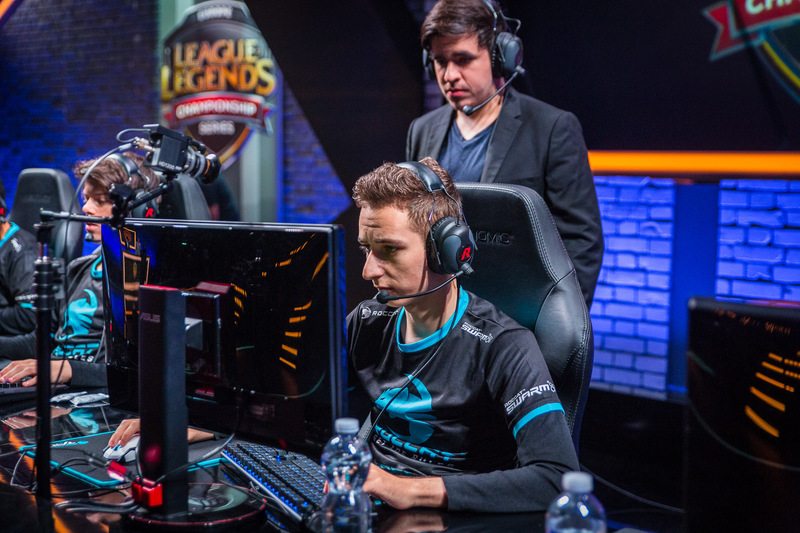 Steeelback joined Roccat after reaching the 2016 Spring Split playoffs with Unicorns of Love. The player also previously played for Fnatic and Gambit Gaming, and is moving into his third year at the highest level of League of Legends. The 2016 Summer Split was frustrating for Steeelback, as Roccat finished bottom of the table with just two wins. A pair of wins over Millenium and FC Schalke 04 saw the team retain its place in the league after also having to survive the relegation tournament in the Spring. Vitality, who purchased its LCS spot from Gambit Gaming for the 2016 Spring Split, enjoyed immediate success. The team finished third in their debut Split, though finished a disappointing 5-6th in the playoffs. They were unable to replicate this success in the Summer however, spending a large part of the season fighting against relegation. The team managed to narrowly avoid facing the promotions tournament with a seventh place finish—but only thanks to a tiebreaker win over Schalke. Vitality also appear to have released previous AD Carry Park “Police” Hyeong-gi, with owner Fabien “Neo” Devide wishing him the best in his future in the team’s announcement.